Start with the basics.When you’re hungry, thirsty or tired, the littlest things can seem overwhelming. If you haven’t had a drink of water in the past hour, get one. If you haven’t eaten something in the past few hours, grab a light, healthy snack like nuts or fruit. If you haven’t moved from in front of your computer for last 45 minutes, stand up and walk around your office or do some quick stretches. Get enough sleep. You must make time to sleep or you’ll end up on an endless hamster wheel of tiredness.Find ways to delegate, automate or eliminate tasks that take up too much time for too little return. Use the extra time to sleep and make it a priority, just like a business meeting with a client. Get physical.When things get too stressful, one of my business partners swears by a fast run in the midday sun to recharge her batteries and defuse stress. Find a workout that works for you, and use it to manage stress. Don’t overthink it.Perfectionism generates unnecessary stress. While you do need to plan for contingencies, worrying about every possible outcome of an action or endlessly assessing your options leads to analysis paralysis and a stress spiral. List the pros and cons of your choices; sleep on it if possible so your gut has time to process the options; then make a decision. Know when to let go.It’s 11:30 at night, you have 600 unread emails in your inbox, but only 20 are from actual people? It’s OK to delete the other 580. No one will know. Hire a Virtual Assistant, like my Company, Donna’s Secretarial Service to take the Admin. Support Stress off of YOU! In today’s world, most occasional, as well as frequent computer users have heard about terms like malware, viruses and ransomware – it’s been on the news quite often lately. Many people consider these threats the same thing, but that’s a wrong assumption. In this guide, I’ll explain what malware, a virus and ransomware is, as well as the difference between these three terms. To wrap it up, I’ll provide some essential security steps in order to avoid these threats, and to protect yourself against it. Malware is a shorthand for the term malicious software. The software designed to infect systems, networks and devices with harmful software. In fact, malware is a term widely used to describe any type of software that poses a threat. For example, software such as Trojans, spyware, adware, backdoors, rootkits and worms all fall under the term “malware.” However, most of these types of malware have a different function and designed to accomplish a different goal. Recently, a rapidly-rising and highly advanced type of malware is ransomware. Forbes published a report by SonicWall that stated ransomware attacks grew at an insane rate to 638 million attacks in 2016, which is 167 times more than in 2015. In the section “What is Ransomware” I’ll explain what ransomware exactly is and what it does. I won’t discuss every type of malware in listed above but you can Google the terms for some short insight if you like. A virus can spread by opening an email attachment which then opens or download an executable file infected with harmful software. Also, infected websites or infected website advertisements can spread a virus. The most harmful situation is when a system host is infected with a virus and infects every other system that connects with the host. In many cases, the creators of the ransomware demand a payment in Bitcoin. One of the latest and most famous ransomware attacks is WannaCry. Symantec reported that WannaCry demanded a payment of $300 in Bitcoin, to be paid within 3 days, or $600, to be paid within 7 days. If you don’t accept the ransom, it would be impossible to access the locked files ever again after the three or seven days period expired. If you agree to pay the ransom, you’ll receive a decryption key which is required to decrypt the previously encrypted (locked) files. Only with the key the hackers provide, you can unlock the files. We’ve learned that “malware” is a collective term for any type of software with the intend to cause harm to a target. That means that malware could be any kind of software program, be that ransomware, a virus or any other type of malicious software listed in the “Common Types of Malware” section. The major difference between ransomware and a virus is that both types of malware have very different symptoms and outcomes. Symptoms of ransomware infected systems is that you can’t use the infected computer any longer, since the ransomware pop-up may block the entire system of a computer – that’s all you see and nothing you can do about it. Whereas a virus drastically slows down your computer’s performance, the computer fails to load or respond properly and shows significantly disruptive behavior once you’re online. How to Protect Yourself Against Malware, Viruses and Ransomware? Install a good antivirus software tool like BitDefender, Norton or Kaspersky to protect yourself against the latest known threats. Antivirus companies constantly update their tools and patch out the newest exploits and viruses to protect the users. Install sophisticated anti-malware tools like Malwarebytes or HitmanPro that runs alongside your antivirus to offer extra protection against specific types of malware. In case your antivirus fails to detect a specific type of malware, you can rely on the anti-malware software. It’s essential to update your system and software at all times. Preferably enable “automatic updates” for every important software and antivirus/malware tool on your device. Avoid connecting to unsecured Wi-Fi networks in public. It is easy for hackers to intercept these networks and transmit malicious data. Consider investing in a cheap VPN if you find yourself often connecting to public Wi-Fi. Set a standard date to have the antivirus and anti-malware run a full system scan. Once every two weeks is an acceptable schedule. Don’t ever open or click on any files in (potential) phishing emails. If you’re not sure whether it’s a legit email, it’s safest to simply delete the email. Thanks for reading and I hope this Blog post helps YOU with YOUR IT/Computer issues! From Frederick Douglass (born Frederick Augustus Washington Bailey, February 1818 – February 20, 1895), African American social reformer, abolitionist, orator, writer and statesman to Madam C.J. Walker, American entrepreneur, philanthropist, born Sarah Breedlove, December 1867 – May 1919), to Dr. Martin Luther King, Jr. , Minister, and Civil Right Activist, (January 1929 – April 1968) to Oprah Winfreh, (January 1954), African American Entertainment giant to Dr. Maya Angelou (born Margarite Annie Johnson, April 1928 – May 2014), to Barack and Michelle Obama, President and First Lady of the USA, (2009- 2017),. 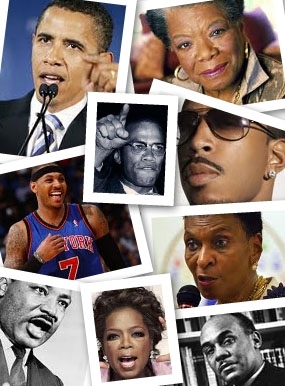 There have been many more African American politicians, artists, business entrepreneurs, pro athletes, scientists, doctors, lawyers, astronauts, etc. who all blazed a trail not only for the African American people, but for ALL AMERICANS! I am honored and privileged to serve on Mr. Maurice Campbell’s Team as a writer and hospitality hostess for the 2019 Renaissance Action National Network’s (RANN)’s African Diaspora Economic Summit,which will take place in August 2019 nationally to empower my people and give a Voice to the Voiceless. More information to come as we are at the beginning stages of getting organized. When the world and the United States says we “Can’t do that,” we say “YES WE CAN!”. As a Proud Philadelphian, I celebrate my World-famous Philadelhia Eagles for winning the 52nd Super Bowl on February 3, 2018 and am amazed at the athletes at the 2018 Winter Olympics living Their dreams and bringing home medals for our Country. To the African American woman speed skater to the Jamaican heritage skeleton athlete who resided in Vineland, NJ, we are making progress and are unstoppable! 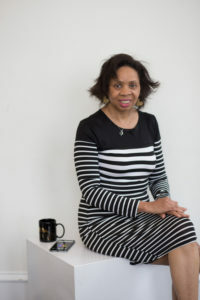 i am privileged to be an African American Woman, Christian entrepreneur who adds value to each Project. I look forward to teaching MS Word for Mt. Airy Learning Tree (MALT) at Blair Christian Academy in Mt. Airy this Spring. (Details to come). Register here: MALT WEBSITE. If you need an Award-winning Virtual Assistant, Web/Graphic Designer, Typist, or Social Media enhancer, I’m YOUR GAL FRIDAY! Call me (toll free) @ 855-366-6271 or email me at donna@donnassecretarialservice.net. 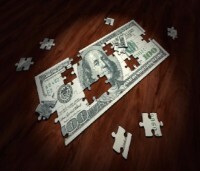 I look forward to assisting YOU and adding Value to Your Project(s)! As we are almost mid-way into the first month of the New Year 2018, you as either a CEO or Small Business Owner, might be thinking: How am I doing as a Business Leader in my Company/Industry? Establishing a clear vision – In order to establish a clear vision for your Organization as a Business Leader, you must be familiar with your Organization’s current path, and as a Team come together to work on what the Vision for the Organization is. The old addage of “It takes a village to raise a Child” is also true of a successful organization. First, you have to think of all the moving parts of the Organization, its function in society and how the Organization can best serve that society with its products/services in a new or different way that has not been done yet. How do we improve on our existing product/services or the products/services already in existence in the marketplace and go from there? This is your inspiration. Think hard and long and get your Team together to help you! Share that vision with your Team so that they will follow willingly -People will Not follow a Weak Leader or a Leader that doesn’t seem to know what he/she is doing! It’s just human nature! So, with your Vision at hand, call all of your Team, that You have already been working with together, and brainstorm what’s the Vision of the Organization is or should be. The team will be more apt to follow YOU if they feel a sense of inclusiveness and they will follow and be onboard if you include them in the Vision process. Providing the information, knowledge and methods to visualize the dream – Once the dream is there, you must (as a Leader) put into place all the information, knowledge and methods for the dream. 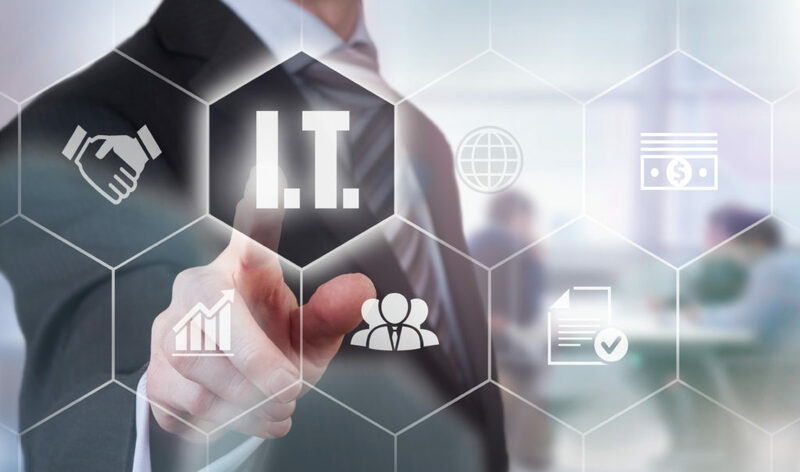 Whether that be new software, new staff, or whatever it may be, YOU as the Business Leader, must be able to communicate and put into place the above mentioned pieces of the pie. Have a Vision Board meeting with YOUR Team, get all hands on deck and get the information to your Team. Coordinating and balancing any conflicting interests of the members and stakeholders – When working with a Team, there will always be conflicting interests of that Team and as the Business Leader, you must learn how to get everyone onboard with the Organization’s Vision! Whether that means convincing that conflicting Team member to cooperate or “Visualize” the rest of the Team’s Vision, or letting that Team member go, whatever it takes to bring the Organization’s Vision to pass, YOU must complete and do! 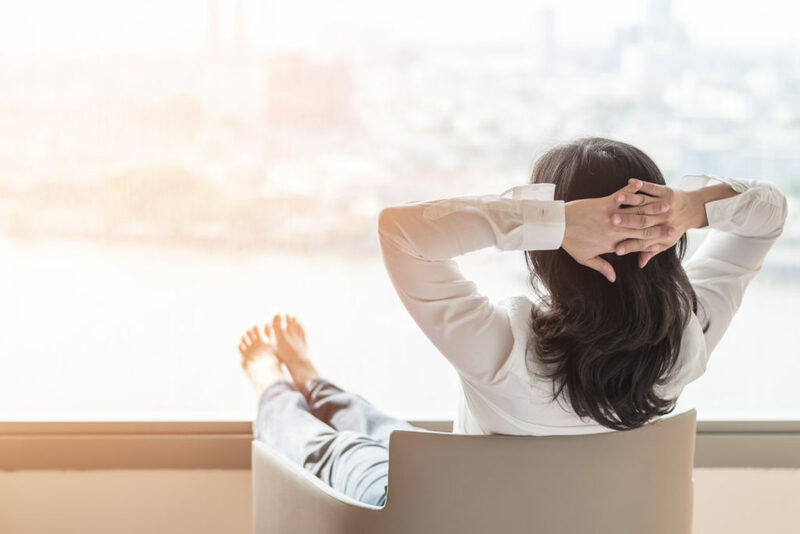 Being a CEO or owner of a company myself, it is Not an easy task and the day-to-day duties/tasks of running a successful Company can be daunting! That is why you need a Team onboard with you to help YOU with the Organization’s Vision! If as a CEO/Owner, YOU need a mature, dependable, Award=Winning Virtual Assistant, Web/Graphic Design, Typing, or Social Media enhancement, please call me and my Team and we will assist YOU to bring Your Organization’s Vision of Growth and stability to reality! Wishing you a Prosperous 2018! The best is yet to Come! As 2017 quickly comes to an end and 2018 is fast approaching, I ask you – What is Your Vision for Your Company in the New Year? 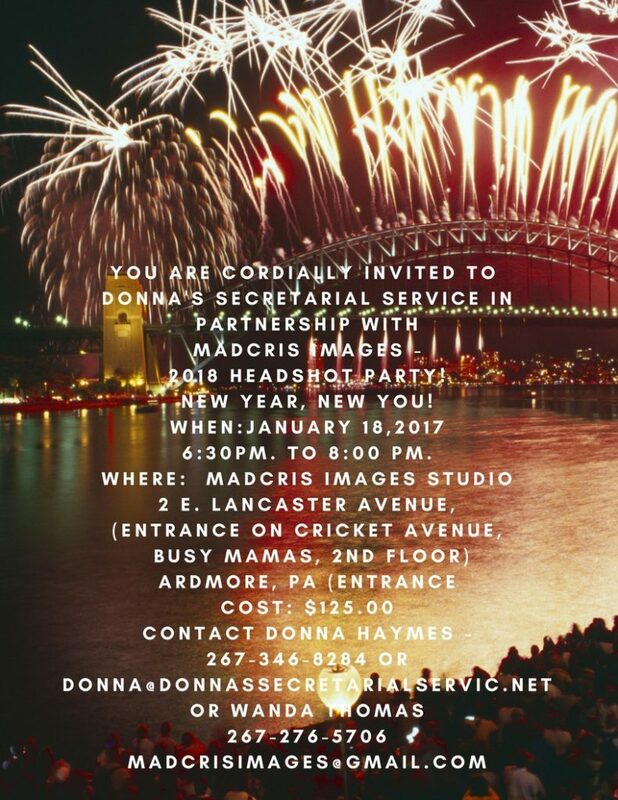 Before You answer that, You are cordially invited to my 2018 New Year, New You Head Shot Party, scheduled to take place on Thursday, January 18th, 2018 at MadCris Images Studios in Ardmore, PA. This event is in partnership with Wanda Thomas of Mad Cris Images & Gift Bags will be provided by Rhonda Cohen of RuCrafts. Head Shot packages are $125. STAY TUNED for more details to come! Register @http://bit.ly/2jWAsos. This will be a Great Event YOU don’t want to MISS! for more details on how to register. I can share with you candidly that God has already shown me where He wants to take my Company. He wants me to work with other VAs, which is already in the works and maybe for me to even open a VA Agency. If this VA needs help running her Company, how about You? I couldn’t possibly do everything I do without my Team! Are You crazy busy working IN your Company and not ON your Company? Do You need help too? Have you stepped back and re-evaluated where You should be taking your Company in 2018? Remember, New Year, New You! Think about it…. Do you need to make more money or work less hours, take a business course, get an additional degree, spend more time with Your family or even start or grow Your Team? Do You have a Team? No man is an island and let’s face it, running a Company is hard work and sometimes a thankless job. We can not possibly do ALL the tasks of running a successful Company alone. It’s impossible. That’s where my Team and I come in. Thank God for Outsourcing and Teamwork! Take a minute to complete my short VA Evaluation Form and see if my Company can help You Too! Thank you for reading my Blog and we wish you the best God has for YOU in 2018!